Zack’s 3D Maze features a bold design with many subtle textures, gradients, and accents to bring the website together. The homepage’s content slider includes a promotional video. The website has a photo gallery page with photos for each product. The Store page allows customers to securely purchase the Zack’s 3D Maze products. This eCommerce website is powered by a database. Pioneer Media provides website management and web hosting services for Zack’s 3D Maze. Zack’s 3D Maze is a unique, interactive toy for individuals of all ages. The three distinct levels of the maze are made to test skill and dexterity. This patented maze puzzle is creative, as well as challenging. 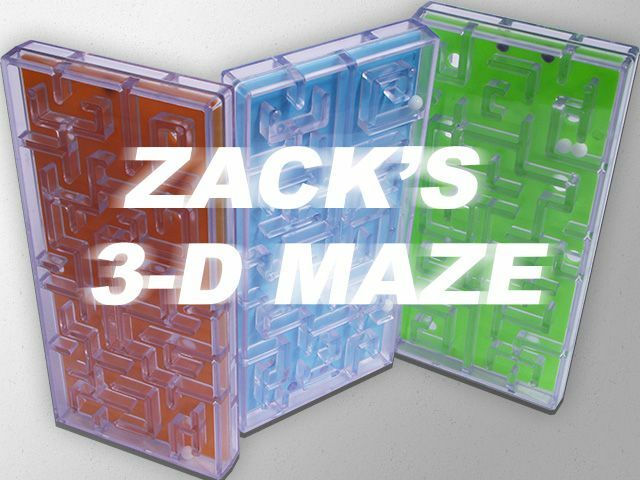 The Zack’s 3D Maze comes in 3 colors and difficulties to master.